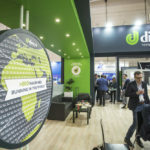 Wire 2018, at its thirtieth edition, confirms its position as the largest steel-based trade fair in the world: from 16 to 20 April, there are as many as 2,635 companies, coming from 57 countries, in an exhibition area of ​​118 thousand square meters. 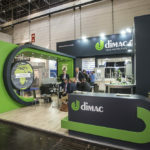 In Düsseldorf, Dimac proves once again to be a real “catalyst” of innovation in 100% quality control. 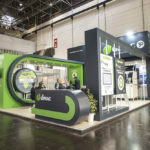 The new stand – laid out to be an immersive and experiential space for the B2B manufacturing industries’ customers and professionals – was literally stormed. 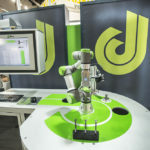 Especially the training courses dedicated to the machines’ working have aroused great interest, as customers and insiders have been able to experience the systems’ user-friendliness. The new release of the optical control series MCV0 has impressed the automotive top players attending the show, among which the suppliers of electrical high-tech components for hybrid and green technology cars appreciated the tooling simplicity and the software intuitiveness, by personally setting the inspection plans for their own-produced <M3 micro-screws. 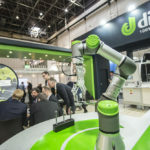 During the workshops on new technologies for process controls, attendees have seen at work SPC-ROBOT, the new 4.0 series Dimac exhibits for the very first time, oriented to the automation of the SPC procedures and data collection. 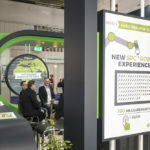 “The real-time data management, IoT, robotics and automation,” GM Massimo Agrati explains “are gradually transforming the companies in Connected Enterprises, with systems more and more advanced, allowing to control and operate on all stages of the manufacturing process. 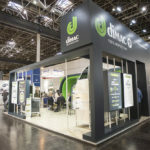 It is in this perspective that the project SPC-ROBOT is born, and Dimac intends to continue this way”. High satisfaction rating also for thenew Augmented Reality appACTY. “Every aspect of life is being computerized,” Massimo continues “and thanks to the apps and smartphones we bag all the essential mobile services that we need. 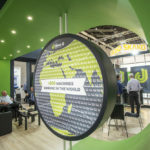 ACTY is an example of the way in which interconnected data sources and mobile technology combine themselves to offer greater agility and efficiency on the services we give to our customers”. Manifold projects and proposals for future partnerships: “The meetings we had during the fair are sources of great inspiration” says Massimo “giving us a further confirmation of how our company can and must do to keep on pursuing the zero-defect goal”. The record results made in 2017 and in this first part of 2018 are the business card of a dynamic, flexible and proactive reality that – not forgetting key aspects such as productivity optimization, profitability increase and costs containment – always steps on the technological accelerator. “The technological evolution is in constant acceleration,” Massimo concludes “Dimac conceives the changes and transformations as an instrument as well as the heart of a business model”. 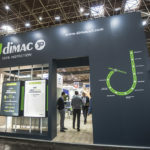 Dimac renews its commitment with customers and partners to meet the great challenges of the future, remaining competitive and further consolidating its market position in a virtuous circle of economic growth.